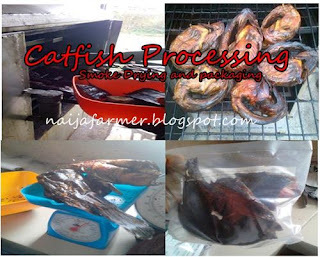 buying catfish in wholesale from farmers or using harvested catfish from your catfish farm, cleaning and washing it, smoke-drying it, packaging it in a branded polythene pack, and marketing it by distributing it to supermarkets, retail outlets, open market and consumers. There are several catfish farmers in Nigeria today, so getting catfish(raw material) to smoke-dry is not a problem. Small capital is needed as you can start in small scale. You could start from home, in your backyard. All you need to start this business is skill and determination. You don’t have to be a catfish farmer, you might not even have an idea of how to grow fish, but you can make big money smoking fish for fish farmers. This is a business for both fish farmers and non-fish farmers. A place to use as factory and construct shed for the oven and other equipment. This could be in your compound. Reliable source of catfish at cheapest market price or from your farm. Complete set of knifes, bowl, salt, spices and others. NAFDAC approval number to give you relevance in the market. This is optional if starting small. 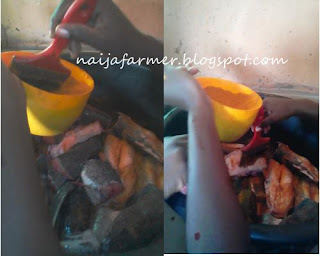 After harvesting (as a farmer) or purchasing (as a non farmer) your fresh catfish, put them in a container and add a reasonable amount of cooking salt and cover the container with a lid and place a heavy object on the lid to prevent the fish from getting out of the container. Leave for a while, when all the fish must have been deactivated, then you can start the steps mentioned below. • clean fish, removing the gills and intestine. • Wash in clean running water. a. It will firm up the flesh and make fish to be less slippery. b. Old blood will be drawn out, improving taste of the fish. c. It will add saltiness to fish taste. d. Preserves fish for longer period by killing and reducing bacterial growth for a longer period. e. Adding additional flavor to fish. After brining, spicing should be done. This is optional if you're selling in open market and without branding. But if you're packaging and branding with your business name, it will make sense if you make your own product to stand out by spicing and some other food flavoring practices. Just be smart and be creative. The heating chamber is filled with charcoal and charged by fire. If you're using gas or electric oven just light it up. Keep the fire low, for the first two hours and increase the heat after the first two hours. The length of time of smoke-drying will depend on the size and thickness of the fish, and on your preference for dry or moist smoked fish. There are many advantages for smoking fish. It prolongs the “shelf life” of the fish. Many people believe it enhances the flavor when used in sauces and soup. After smoke drying, the fishes are packaged in branded transparent cellophane or polythene bags and sealed to prevent dust and germs from getting into the fish. The fishes should be packaged in 250g, 500g and 1Kg packs. 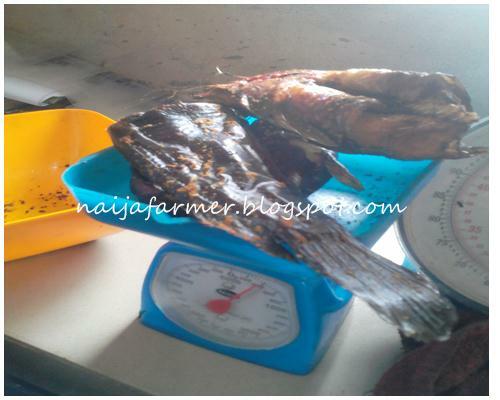 As at the time of writing this report, 1Kg of packaged smoke-dried catfish is N3,000 while half Kg, 500g is N1,500. 1. Use fresh(live) fishes always. 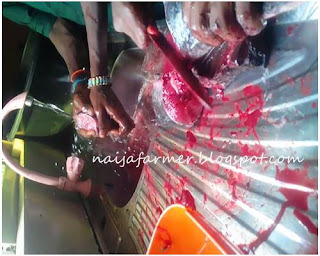 Using already dead fish is unhygienic and unhealthy. The taste will be bad and this will tarnish your product. 2. Catfish sizes is of two categories; the melange(300g-600g) and table sizes(600g- and above). As at today the price of table size is 650-700 per Kg depending on quantity you want to buy. 3. Your target market should determine the size and type of fish you smoke. 4. Too much smoke will cause the fishes to taste bitter and cause high PAH(poly-cyclic aromatic hydrocarbons) in the fish and reduce fish quality. PAH is very dangerous to health, it causes cancer. 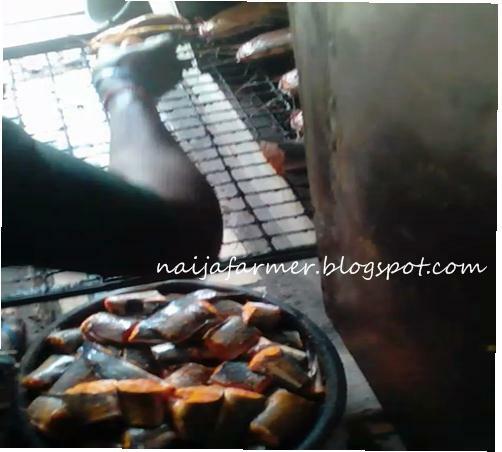 To reduce smoke, do not smoke fishes with firewood and sawdust because they release high PAH into the fish. Sometimes why looking for supermarkets to supply to, the supermarkets or mall may not pay you immediately initially. You have to drop the products and collect your money whenever its sold. But when your product becomes hotcake, they can even pay you in advance to supply them. Their is a huge market for hygienically smoked fish abroad, but you can hardly meet the market demand in the country talk more of exporting. So what are we waiting for? Let's try out this agribusiness venture today. Also remember you can contact me for any enquiries by clicking here. Please share, like, comment and subscribe. Agriculture is the future. Thanks for this detailed expose on fish smoking. I wish to know the shelf life of smoked fish packaged and sealed as described.Thanks once again. The moisture content of the smoke-dried fish determines how long it will last before spoilage (shelf life). 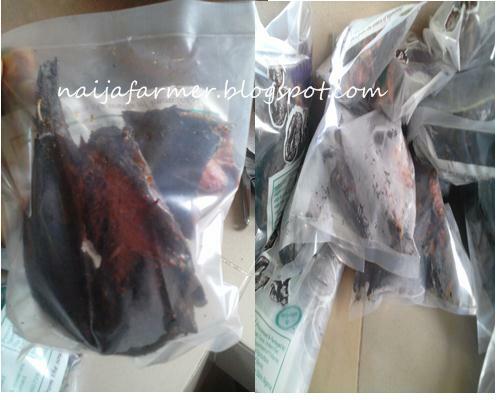 But smoked dried catfish with very low moisture content ( that's flaky) can last up to 6months or more in hermetically sealed packs. How is the packaging. For instance if I smoked three tinny in a nylon, how much is it wirth?